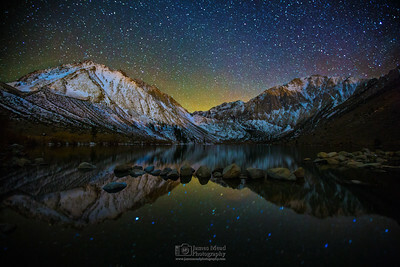 The Sierra Nevada mountains, also known as the High Sierras, stretches across Eastern California. 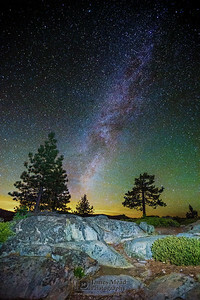 It features some of the highest mountain peaks in the continental United States, and some of the darkest skies in California. 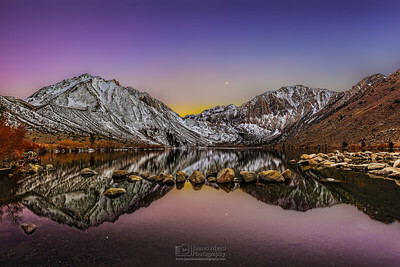 This is photography of the High Sierras. 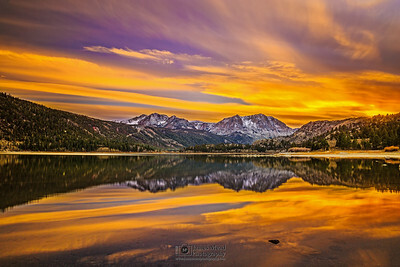 The last light of day officially passes as the sun sets over June Lake in the Inyo National Forest of Sierra Nevada Mountains in California. 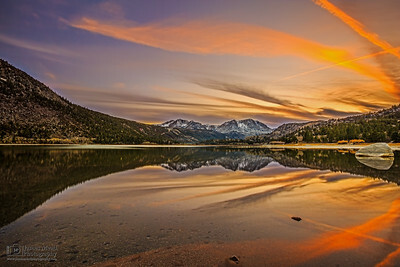 Carson Peak, San Joaquin Mountain, June Mountain and the sunset in the sky reflect like a mirror in the still waters of June Lake. 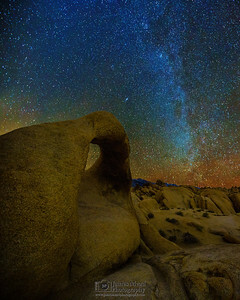 "The Winter Milky Way over Mobius Arch and the Sierra Nevada Mountains," Alabama Hills, Lone Pine, California. 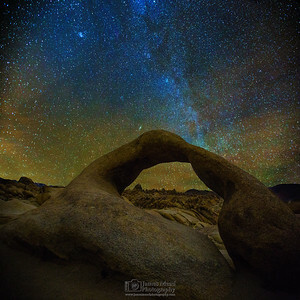 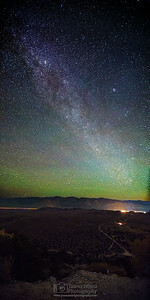 The Winter Milky Way and the Andromeda Galaxy shine high in the sky above Mobius Arch, the Alabama Hills and the Sierra Nevada Mountains as the Winter Milky Way rises high into the sky, curving above the landscape. 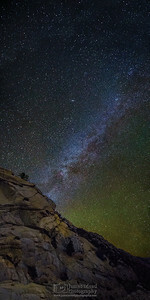 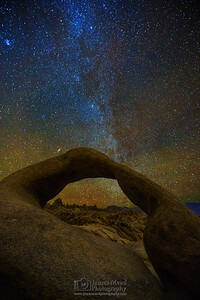 The Winter Milky Way and Andromeda Galaxy rise high into the sky above Mobius Arch, the Alabama, and the Sierra Nevada Mountains while the peaks of the Sierra Nevada Mountains can be seen through the Arch. 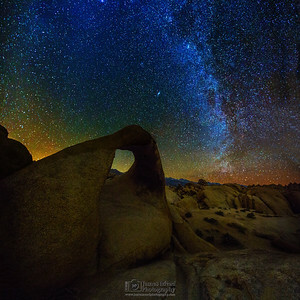 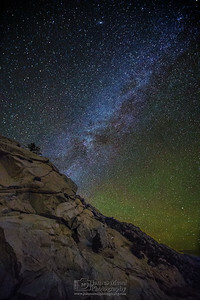 The Milky Way rises into the sky from behind and through Mobius Arch in the Alabama Hills outside Lone Pine, California while the Andromeda Galaxy shines above it. 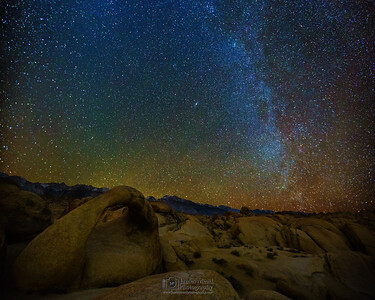 The Winter Milky Way rises into the sky from behind the arm of Mobius Arch in the Alabama Hills outside Lone Pine, California while the Andromeda Galaxy shines above it. 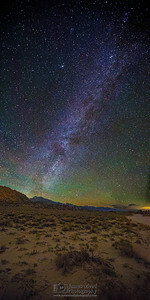 The Andromeda Galaxy shines above Mobius Arch and the Alabama Hills as the Winter Milky Way rises high into the sky, curving above it them. 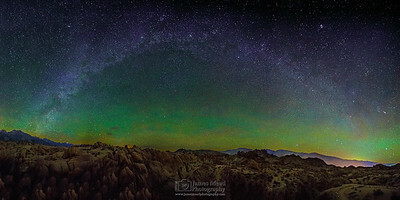 The Sierra Nevada Mountains can be seen rising in the background behind the Alabama Hills. 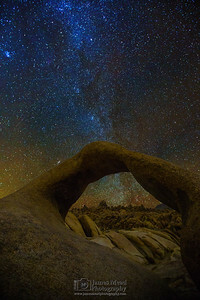 The Winter Milky Way shines through Mobius Arch in the Alabama Hills outside Lone Pine, California while the Andromeda Galaxy shines above it. 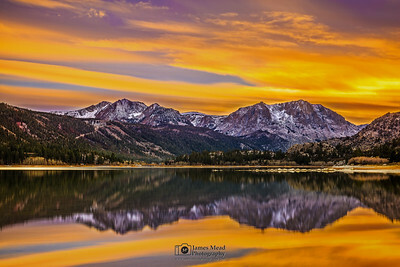 Carson Peak, San Joaquin Mountain, June Mountain and the vivid colors of sunset reflect off the still waters of June Lake. 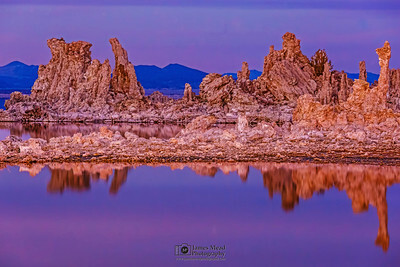 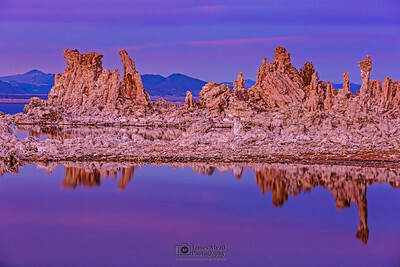 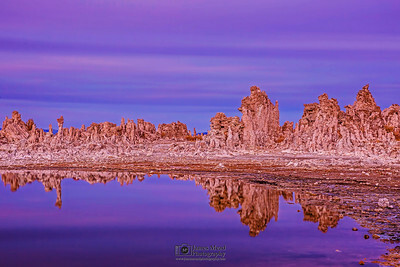 The setting sun of late autumn creates a pink glow over Mono Lake and the Tufas in the Eastern Sierra-Nevadas of California. 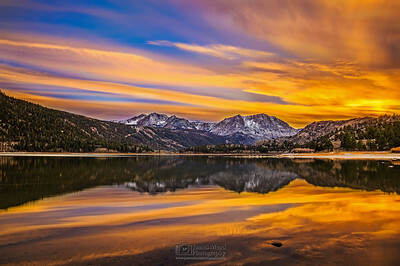 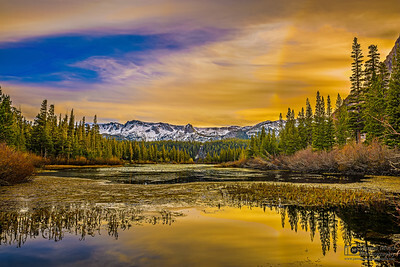 Carson Peak and San Joaquin Mountain rise above June Lake like twin peaks as the vivid colors of sunset reflect off the still waters of June Lake. 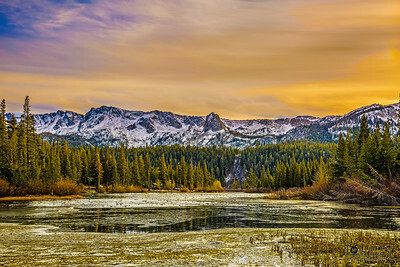 A winter storm rolls in over the Sierra Nevada Mountains as Autumn begins to give way to Winter high up in the Eastern Sierra Nevada.